The Hinwick Hare Walking Stick was designed, created and crafted in the style of those ornamental, collectible canes, but built to be used every day. 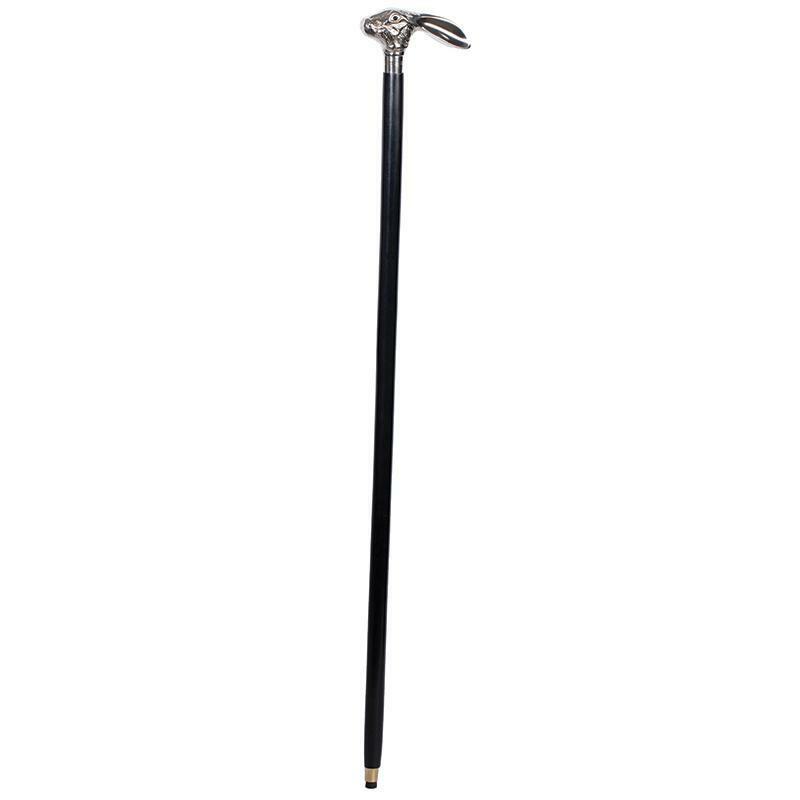 The black lacquer-finished wooden body is sleek and stylish, and once you grip it you’ll under-stand that this is no hollow imitation. 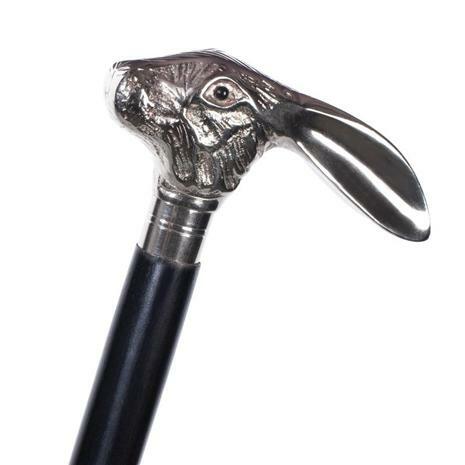 Envious onlookers’ attention will be drawn to the carefully crafted handle, where a silver-finished hare’s head design sits proudly and alertly. The intricacies of fine metalwork render the hare’s head in striking detail, and make this beauty look like it belongs behind glass.